The video opens with a cute baby lying in his mother’s arms. They are sitting in a doctor’s office, about to activate a cochlear implant, a device that will help the child hear. The doctor turns on the implant, the baby’s mother says his name… and he smiles so wide his pacifier falls out of his mouth. “A tear jerker if I ever saw one,” say the comments. “I cry every time I watch this.” “Science be praised!” “God be praised!” It’s been viewed over 4.5 million times. There are dozens of videos like this one online, and they often get millions of views and hundreds of comments about how miraculous it is for a person to suddenly be able to hear. But these videos, and the responses they generate, demonstrate an ignorance about cochlear implants and perpetuate dangerous misconceptions about deafness. A cochlear implant is a medical device surgically placed in the inner ear, which transmits sound signals to the brain and can allow some deaf people to hear again, or hear for the first time. For hearing people, a video of a deaf person experiencing sound may look like a scientific and personal triumph. But for a deaf person, even a cochlear implant user like me, these “feel-good” videos are often a bit tasteless at best, ableist at worst. In my experience, a majority of the Deaf community typically embraces those who take interest in deafness, including sign language, Deaf history, deafness-related technology, etc. — as long as they have good intentions, for instance if they’re trying to educate themselves on what it is like to be culturally and medically deaf. But these videos can create misconceptions about cochlear implants, deaf technology, and what it means to be deaf. For starters, cochlear implant technology is not as perfect as these videos make it seem. Hearing is not a switch you can just turn on. It takes months or years of hard work, therapy, and effort before the cochlear implant can be fully functioning — and that doesn’t even include the speech therapy and other audiology appointments. A majority of deaf people who get their implant turned on for the first time cannot even understand the sound that their brain is receiving. The brain needs to rewire itself before it can even comprehend the new sensory input. I had my hearing for 20 years before going fully deaf, meaning that my brain did not need to rewire as much when I chose to get a cochlear implant. But even though I was the most prepared patient at my hospital, I could not understand a single thing that was said to me for two months after my activation. Yes, I could hear sound, but it was extremely difficult to comprehend. The artificial sound a cochlear implant provides is not the same as the sound hearing people experience. 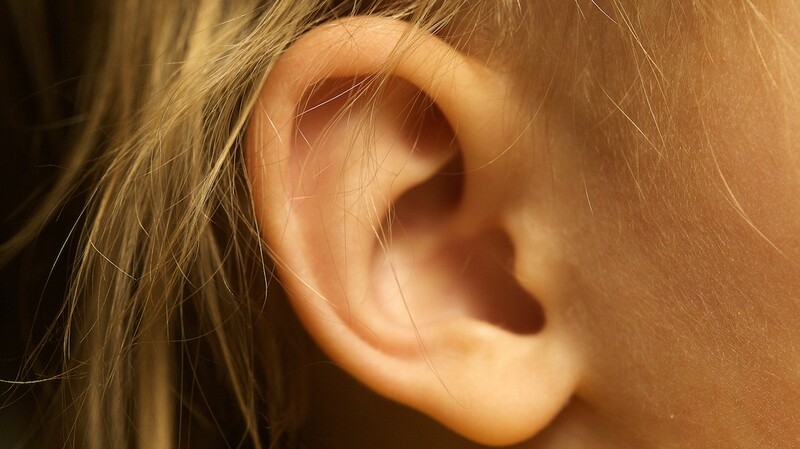 It takes practice and hard work in order to obtain something close to audibility. Using a cochlear implant can be quite demanding, even for the most promising candidates. So when a person without this knowledge watches the activation video they are led to think that the deaf person can fully hear everything, which is not the case. Responses from hearing people on activation videos make it clear that they are unaware of the cochlear implant’s limitations. One YouTube commenter, for instance, responded to a video with “take her to an orchestra, now!” To a majority of implant users, music is the last thing they want to hear on the first day of hearing sound. Sound is strenuous at first and it is a struggle to even keep the implant on for the first few weeks. Once you know how overwhelming the new sounds from the cochlear implant can be, it’s clear that people in some of these videos may not be crying tears of joy, but tears of confusion and discomfort due to sensory overload — although, of course, it’s the “happy” results that tend to go viral. One commenter on a cochlear implant video writes: “It’s interesting to me that deaf children always seem to smile when they hear for the first time.” But the children who cry from the sudden flood of new sensory information aren’t seen online. These videos also tend to get comments from hearing people like “this is a miracle cure!” For several reasons, it’s troubling to hail cochlear implants as a miracle. Cochlear implants aren’t accessible to everyone; they cost a minimum of $30,000, require a lot of therapy and effort, and aren’t appropriate for every person or every type of deafness. More important for the Deaf community, though, is the implication that deafness is something that needs to be cured, rather than accommodated by our hearing-dominated society. Though the community is generally supportive of cochlear implants as a technology, as long as they’re handled ethically, the perception of them as a “miracle cure” is offensive. Romanticizing cochlear implant technology puts further pressure onto deaf people to conform. Deaf people feel that they must reject their identity as a culturally Deaf or medically deaf individual. This pressure is a form of ableism, since it makes Deaf people feel as though something is wrong with them, and even feel that their culture is under threat. Cochlear implant activation is the start of a long and hard journey, but these activation videos give the impression that it is instead the end of one. When a hearing person shares these videos with the belief that they show deaf people being “cured,” they’re perpetuating misinformation about cochlear implants, deafness, and the role of the Deaf community in society. The cochlear implant is merely an assistive medical tool and it does not redefine a deaf person’s medical condition. We can’t cure deafness, and more to the point, we don’t need to.